A Reverse Mortgage could be the one asset you need to remain independent in your own Home. How do they work? Is it right for me? 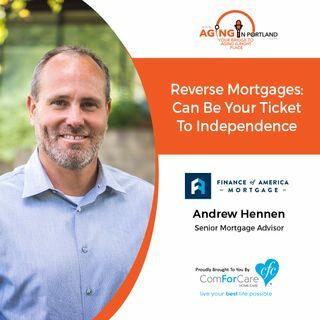 Andrew Hennen from Finance of America Mortgage will discuss how a reverse mortgage works. He will candidly address the myths and misconceptions on how to leave yourself with a viable option to remain independent in your own home.